In Romania, chocolate tablet brands have short (2-4 syllables), feminine names. The packaging of the downscale market is exclusively in Romanian and is the least “talkative,” while that of the upscale market is multilingual and is the most verbose. If a brand is a “sweet-talker” (e.g., more imaginative names and slicker packaging), it’s a sign that it is more expensive. In my earlier chocolate post, my thought chain lurched from chocolate to a more sinister Lovecraftian theme. In parallel, here I find my thought chain careening from Romanian chocolate to… Dracula… and Count Chocula 😀 LOL! I apologize! Please forgive me! Ptasie Mleczko, whipped vanilla-flavored interior, dark chocolate shell (it was a hit in the office). Ambassador, assorted collection by Cailler Nestlé SA. Purchased at Coop. While we’re on the topic of chocolate, I can’t resist pointing you to this: Selections from H.P. Lovecraft’s brief tenure as a Whitman’s Sampler copywriter. What, you didn’t know that early in his career Lovecraft temporarily had a second job writing copy for Whitman’s? The Peanut Butter Cup blurb seems to be a reference to Lovecraft’s Shadow Over Innsmouth, while the Caramel Chew‘s “blind caramel God-King” is a reference to Azathoth. Who knew chocolate could be so sinister? And while we’re on the topic of Lovecraft, check out Night of the Cephalopods, an innovative computer game with a Lovecraftian theme. The really cool thing is a running commentary done in Lovecraft’s somewhat overwrought style, that varies in real time depending on what’s happening in the game; the commentary sometimes even gives the player hints on what needs to be done (e.g., find ammo when you run out of shotgun shells). Here’s a YouTube video demonstrating the game. Yesterday I bought gasoline at the Free State station at 20650 Frederick Rd, in Germantown. There, I also bought Chewy Lemonheads, Appleheads, Orangeheads, and Jaw Busters. I didn’t see the Cherryheads. Looks like NECCO remains independent. Founded in 1847! The very packaging of the assorted wafers product is very old-fashioned and nostaglic; Mary Jane, too. The Wikipedia entry says that NECCO is the oldest “continuously operating” candy company in the United States, and that in April 2004 the Necco building at 250 Massachusetts Ave in Cambridge was occupied by Novartis. Lemonheads are made by Ferrara-Pan, not NECCO. 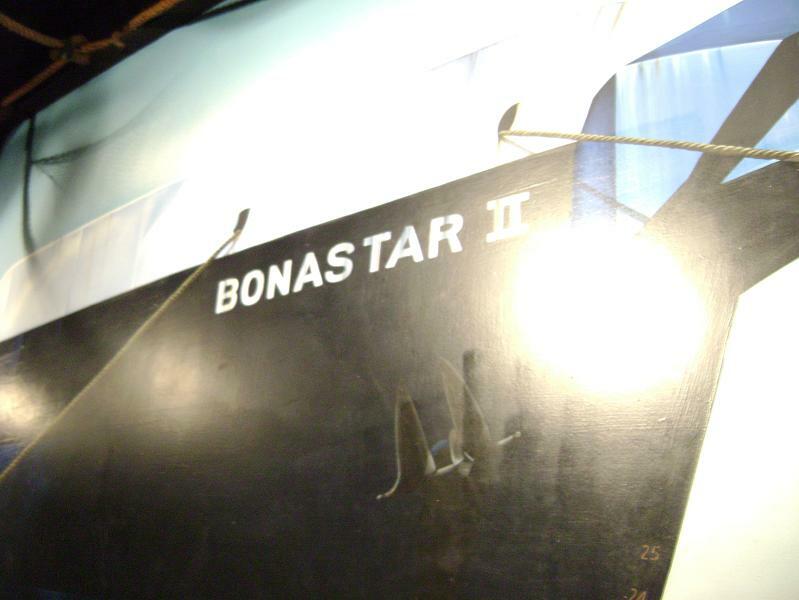 On the ramp leading to the Hershey Chocolate Tour, a picture of a ship named Bonastar II is seen. Here is some online info on that ship. Wonder where that ship is right now. 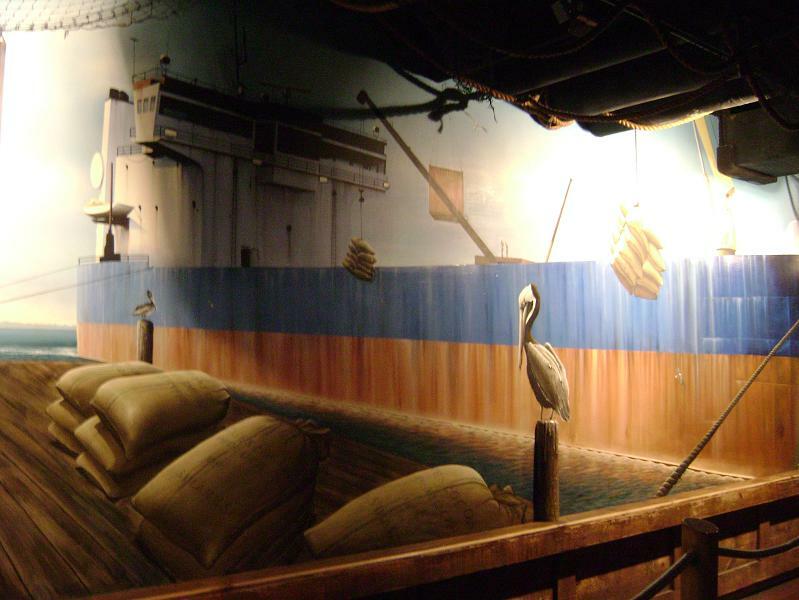 Does it happen to be carrying cocoa beans at this very moment, or something else? Here are the three cows, Gabby, Harmony, and Olympia. Wonder whether they’re named after three actual cows.